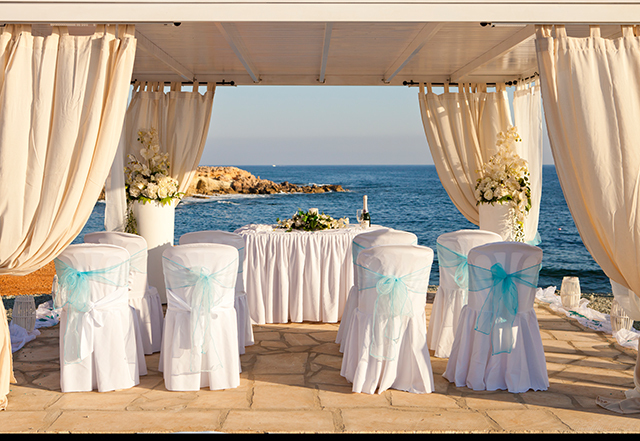 You can contact your Cyprus Wedding Planner by email or by telephone to ask any questions, however small. If the office phone is not answered, this probably means that we are out attending to wedding arrangements. Please either leave a message or send us an email using the contact form below and we will respond immediately. We offer a high level of service and aim to answer all emails within 24 hours of receipt if at all possible. We will send you some details about us and our services, and also a link to our easy to use online questionnaire. Once completed this is automatically emailed to us and we use it to work out some sample wedding plans and prices for you to consider. To prove you are human please answer this question - Which is bigger, 2 or 8? Here at Paphos Wedding Company we take your privacy seriously & will only use your personal information to provide you with details about weddings in Cyprus and all wedding related products and services provided by our company. We will not pass on your data to third parties for marketing purposes. By completing our contact form you are giving us permission to contact you for the above purposes.